The emergence of Carlos Baerga in the Cleveland Indians lineup turned what was a laughing stock franchise into one of the American League elites during the early to mid-1990’s. During the 1993-95 seasons, Baerga batted .317 and averaged 18 home runs and 95 RBI as the Indians ultimately made the World Series in 1995. This Cooper C243 model bat was used by Baerga during the 1993-95 seasons. This bat displays excellent game use and is un-cracked. 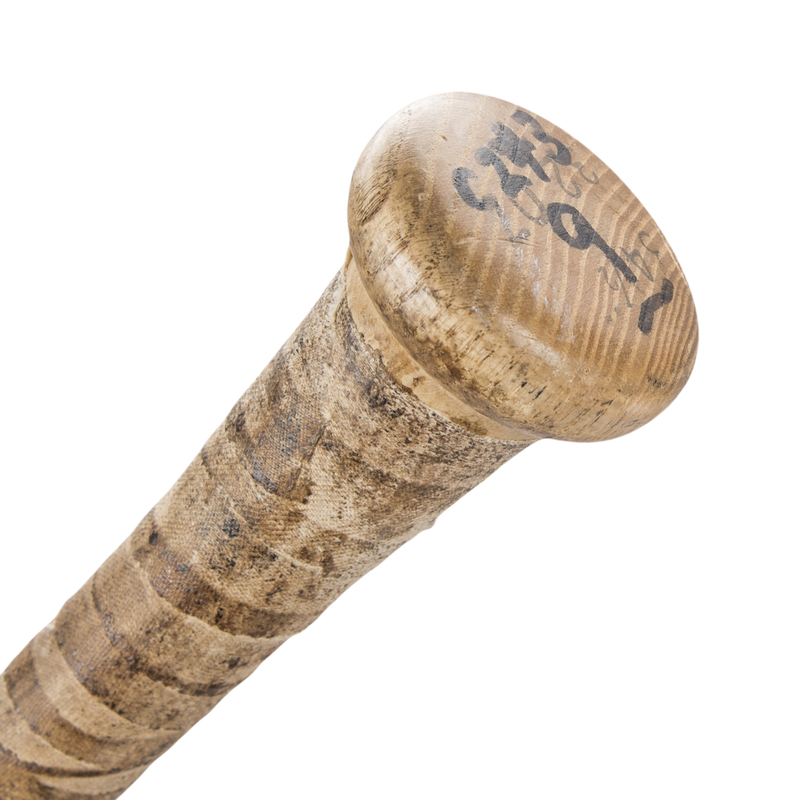 There are ball marks, stitch impressions, blue ink transfers and bat rack streaks present on the barrel. 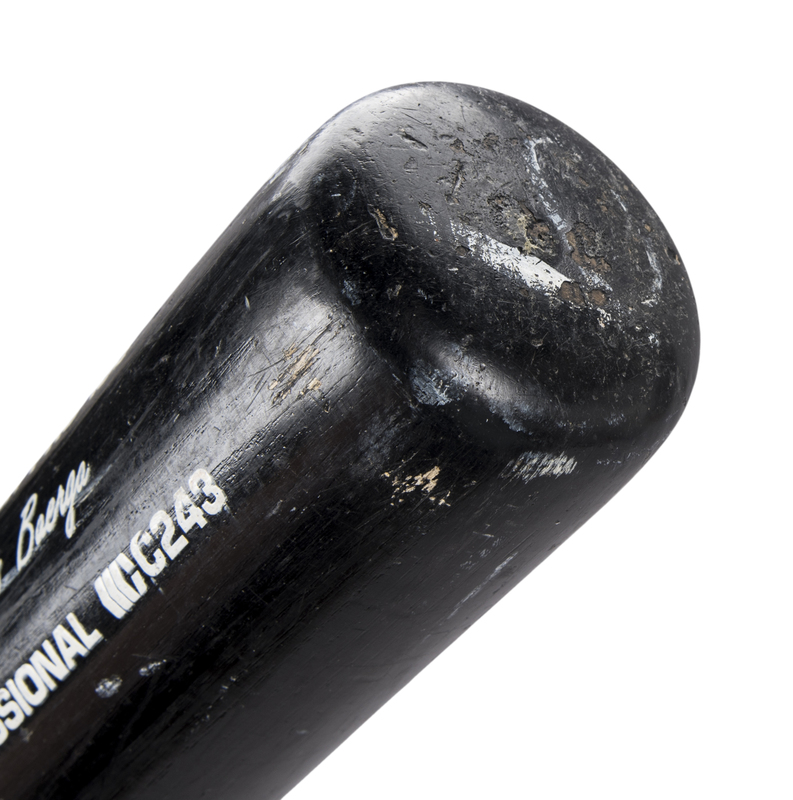 The handle has been taped in a spiral pattern to enhance the grip and Baerga’s number “9” and the bat’s model number “C243” has been hand written in black marker on the knob. 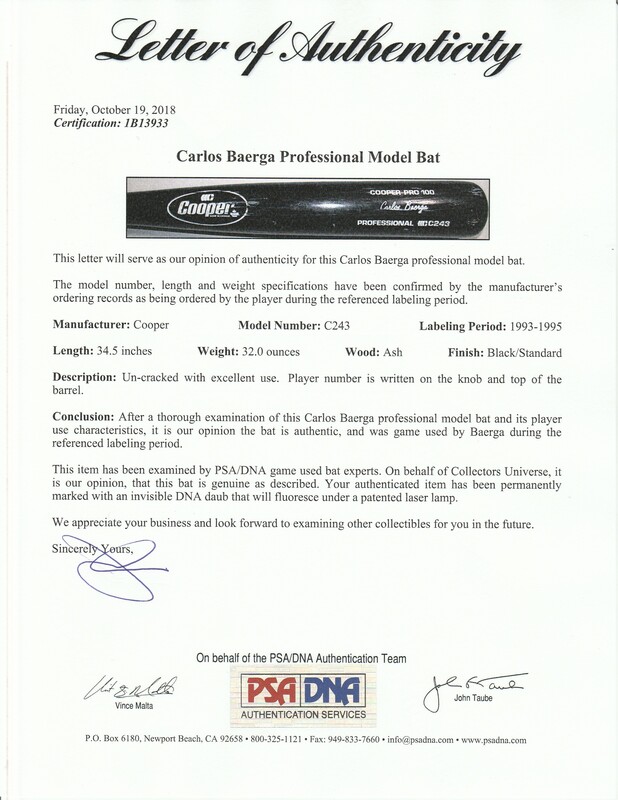 This bat comes with a LOA from PSA/DNA (1B13933) for the game use.